REGISTER for CHILD CARERegister Now! 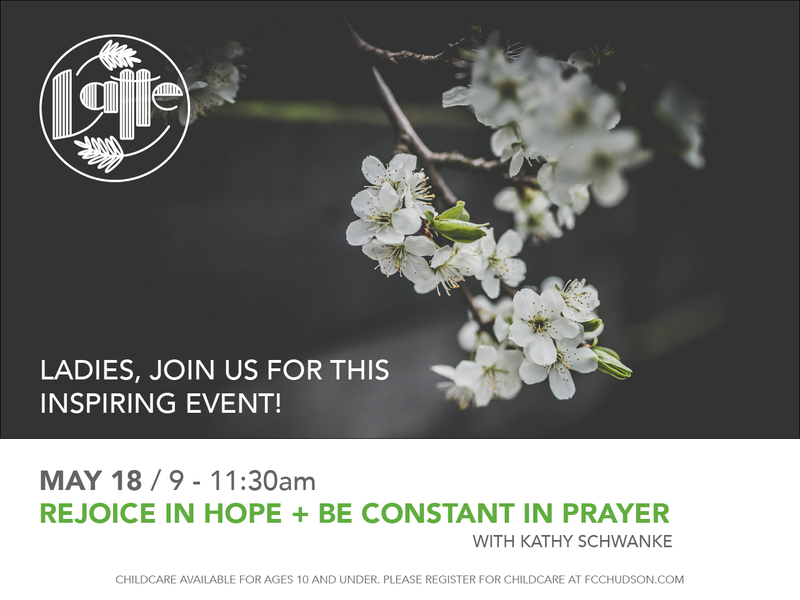 Kathy Schwanke will be the final LATTE speaker for 2018-2019, and she will be focusing on prayer as an essential element in our growth with Christ. Childcare provided for children 10 years and younger. Please register each child so we can be sure to have nurseries properly staffed. Registration is not required for adults--only for childcare.